Radiohead has returned with a new single “Ill Wind,” the group’s first release since the band gave us A Moon Shaped Pool in 2016. Since then, Radiohead’s lead singer Thom Yorke provided a full soundtrack for the 2018 remake of Dario Argento’s Suspiria, lead guitarist Jonny Greenwood received a Grammy nomination for his work in the Daniel Day-Lewis led Phantom Thread, and the group remastered perhaps their most widely treasured project, OK Computer. The seminal alt-rock band has drawn mass fan speculation (and polarization) during each new album roll-out about what new style they would come up with to package devastating sadness. However, “Ill Wind” is a B-side from A Moon Shaped Pool and accompanied their ill-fated bond theme, “Spectre,” on a 2016 quiet release. “Ill Wind” is a reference to the fifties jazz standard “Ill Wind (You’re Blowin’ Me No Good),” interpreted by Billie Holiday, Frank Sinatra, and Ella Fitzgerald. Radiohead interprets the sentiment of this reference via this icy new winter hymn. The track opens with a drum riff reminiscent of “Knives Out” from the groups’ 2001 album Amnesiac but retains the same fragile beauty that defined A Moon Shaped Pool. 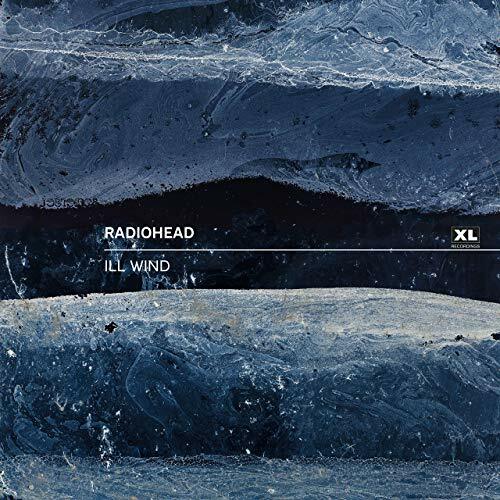 Thom’s vocals are kept at arm’s length as the singer delivers an impressionistic, lyrically minimal performance, and are eventually abandoned in favor of prodding synth exchanges. Most of the different components are blurred together like traffic lights behind a city snowstorm until twinking tones drive us out of sight.